Visitors to Walt Disney World resort often come and go without ever finding this special gem in the Epcot resort area. The Boardwalk is a quarter of a mile long promenade designed to look like a quaint Mid-Atlantic seaside village from the early 1900's - some say it evokes a Cape May, New Jersey feel while others say that there it reminds them of Coney Island; either way, it is simply charming. 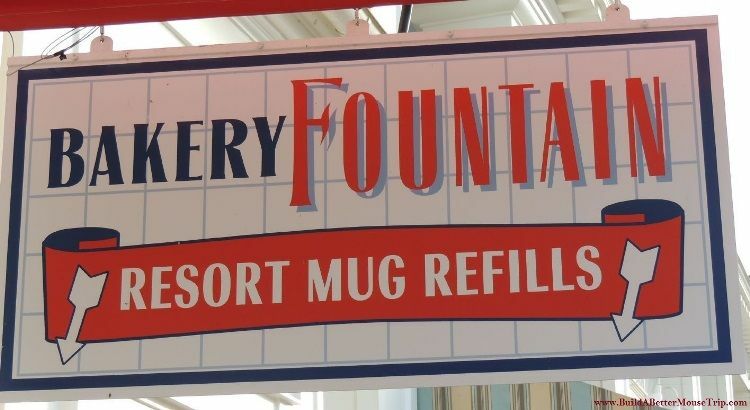 Tip: If you have a Disney Resort Refillable Mug that is good for your current stay, you can use it at the refill station at the Bakery Fountain, even if you are not staying at the Boardwalk Inn and Villas. Belle Vue Lounge at Disney's Boardwalk Inn – cozy furniture and antique radios playing classic radio shows. Big River Grille & Brewing Works – Pub/restaurant that even makes its own beers. ESPN Club – Sports bar/restaurant with over 100 televisions. American food. Flying Fish Café – Seafood restaurant with a classic rollercoaster theme. Vegetarian, game dishes, and great desserts also available. Jellyrolls – an uproarious dueling piano bar & sing-along. Opens at 7:00PM with non-stop live entertainment from 8:00PM to 2:00AM. Rowdy, waterfront atmosphere. Cover charge applies. Jellyrolls has earned the tripadvisor Certificate of Excellent with over 4.5 out of 5 on the popularity index. Trattoria al Forno - Italian restaurant featuring fresh, handcrafted Mozzarella, house-made Cavatelli and Neapolitan-style Pizza baked in the restaurants own wood-burning oven. Open for breakfast & dinner. Bon Voyage Adventure Character breakfast featuring Ariel, Prince Eric, Rapunzel and Flynn Rider. Advance reservations required. 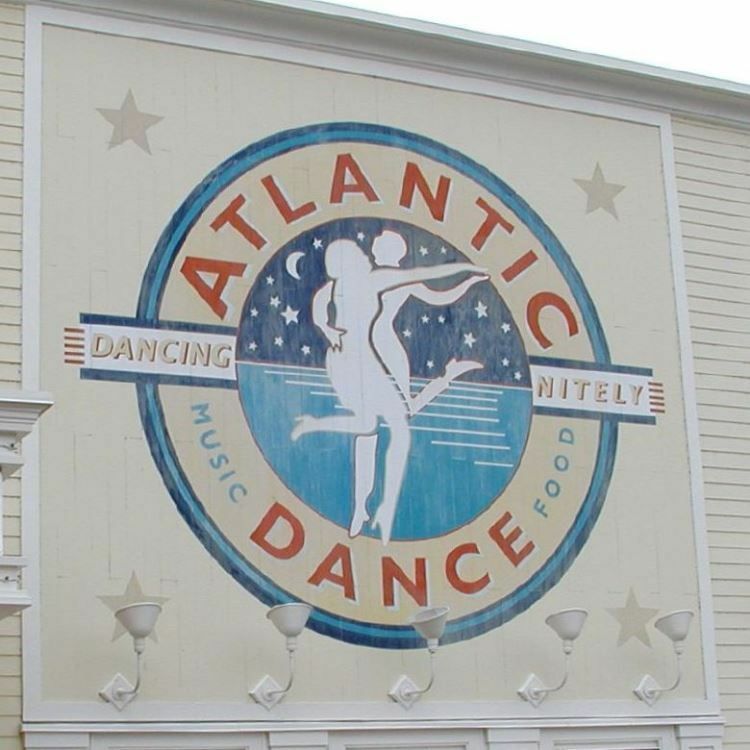 Atlantic Dance Hall – This spacious dance venue features DJ's playing your favorites from the 70's through today. 9:00PM – 2AM Tuesday through Saturday. Ages 21 and over. Street Performers – On Thursdays – Saturday evenings, you'll find street performers like balancing acts, a juggler, or street musicians that give the Boardwalk a fun, street festival feel; especially after dark with the lights are on. Fantasia Gardens Miniature Golf - two mini-golf courses with a fun Fantasia theme. 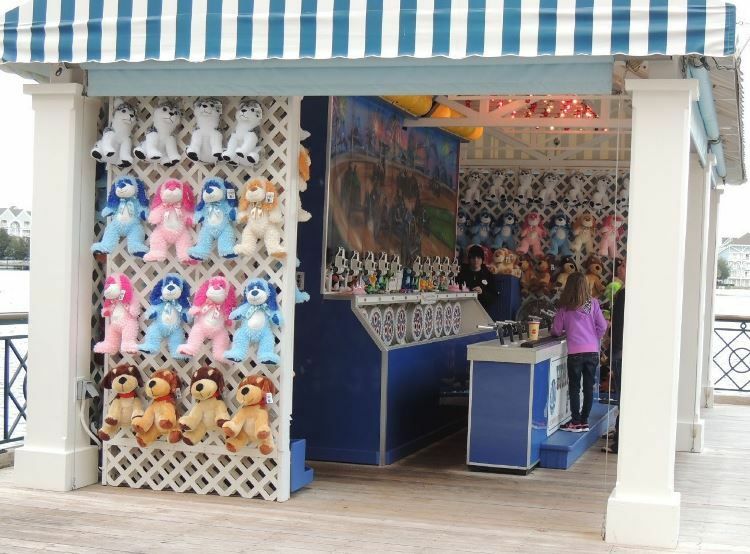 While not technically part of the Boardwalk Entertainment area, it is within walking distance. From the Boardwalk Resort: go between Atlantic Dance Hall and Jelly Rolls Piano Bar and take the bridge towards the Swan and Dolphin Resorts but continue on to the street. There will be tennis courts to your right and Fantasia Gardens will be to the left TIP: Fantasia Gardens has lower crowds during the day but gets busy in the evening. Screen Door General – Disney items, sundries, and a limited selection of groceries. Thimbles & Threads – Disney character plush toys and clothing for women, children, and infants. Wyland Galleries: Showcasing works by Wyland and other artists, mostly marine life themed. Check out our Disney's Boardwalk Inn resort presentation for more info about staying at the Boardwalk. Exit Epcot through the International Gateway (World Showcase). There are signs for this easy ½ mile walk. There is a 1 mile path from the Disney's Hollywood Studios parking lot to the Boardwalk. You can also take Disney transportation to the closest theme park, water park, or Disney Springs and catch a bus to the Boardwalk Inn and Villas. Friendship Boat Transportation is available from Disney's Hollywood Studios and Epcot. Boats are also available from the Swan, Dolphin, and the Yacht Club Hotel and Beach Club Hotel. Those traveling by car on Disney property should follow the Epcot Resorts/ Disney's Hollywood Studios area signs. Those coming from outside Walt Disney World Resort should take I-4 to Exit 64-B and follow the Epcot Resorts signs.